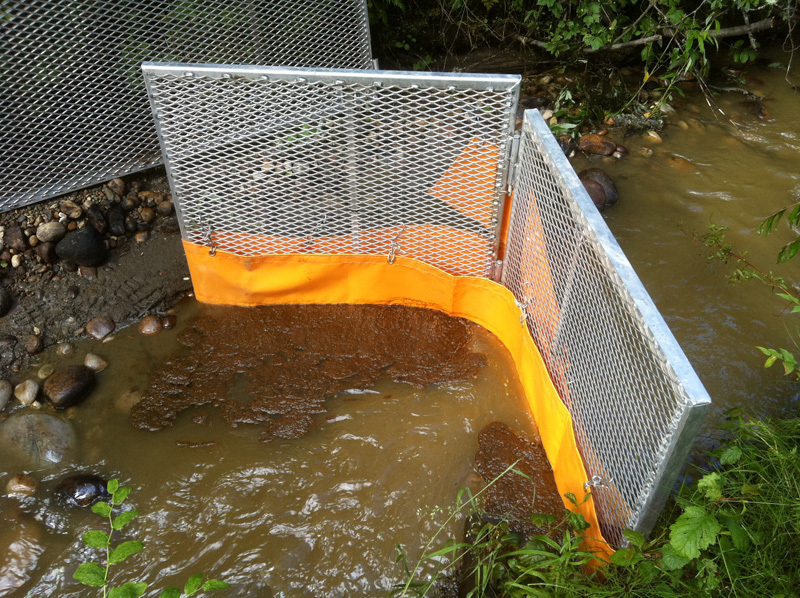 Turner Valley gates are sections of steel fencing with stands and a small 30cm wide plastic skirt on the bottom that is designed to deflect oil to a recovery area. Creek Boom is similar to conventional boom but significantly smaller. It has a total width of 30cm and is much lighter than conventional boom. 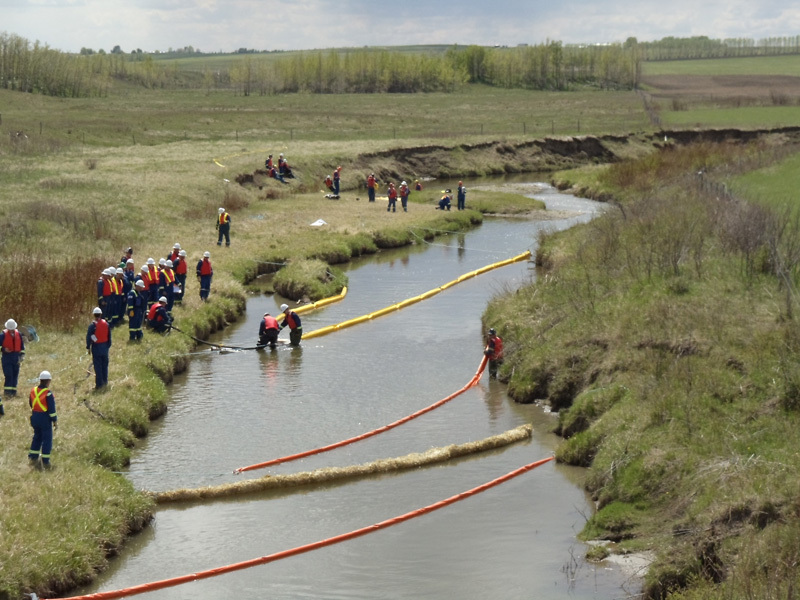 There are 300 meters of Creek boom available for use. An Aqua-Dam is a bladder containing 2 inserts that can be filled with water and used to either divert slow moving bodies of water or in some cases, stop the flow completely. 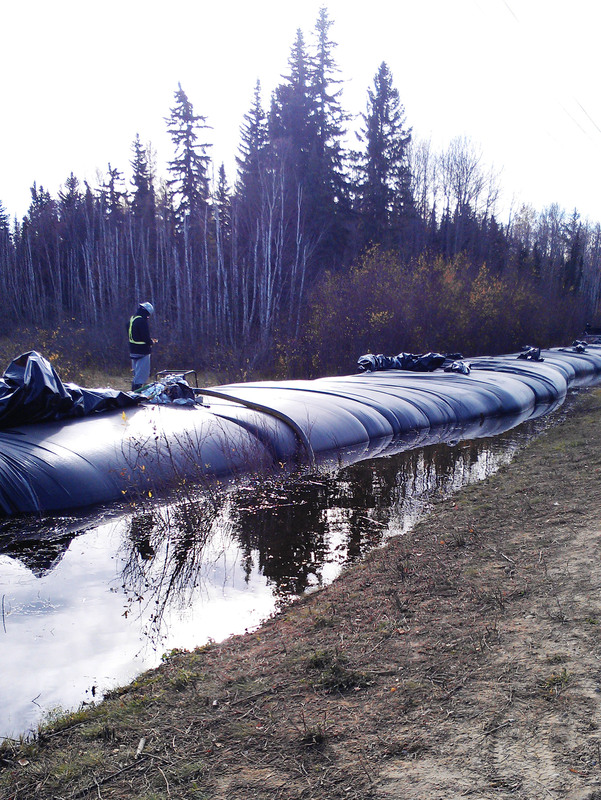 The Aqua-dam is effective when working on a slow moving river or creating a containment and recovery area. 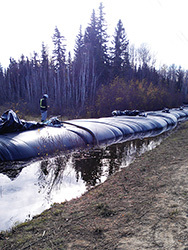 This bladder is 30m long and 2.5 m wide and it is highly recommended that users have previous installation experience. Watergate dams are water barriers designed to either stop or control flow in a shallow, slow moving water body, or divert water towards a shoreline or containment device. The Watergate dams is most effective in slow current and water depths of less than .5m. 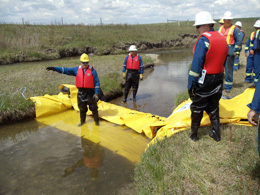 They come in 25ft or 50ft long sections and can be deployed by 1 or 2 people.